I went for a shortish hike with my son today. We were of to explore the forest and to look for treasures. He wanted to look for petroglyphs. We found a beautiful spot! A cliff by the lake covered with grey reindeer lichen (Grå reinlav) - Cladonia rangiferina. 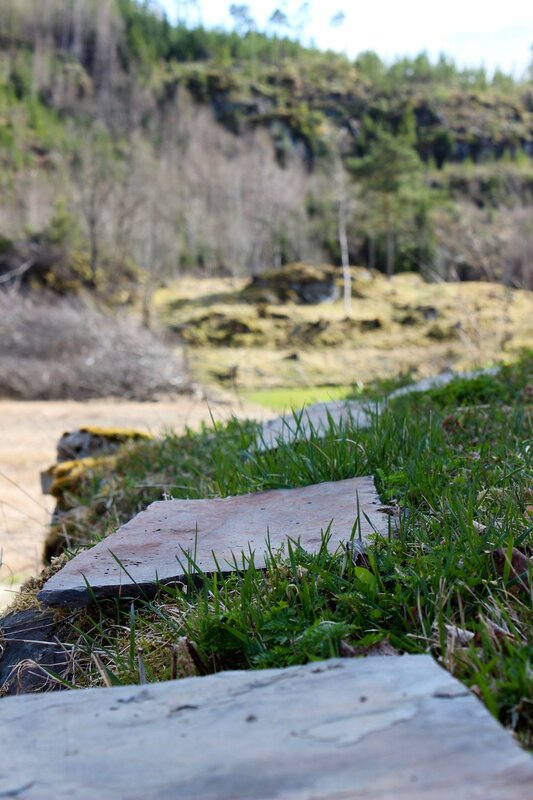 This is one of the species of lichen that give the Scandinavian grounds its visual characteristic. This lichen is the reindeers favorite food. Lichen absorb radioactive substances from the air and these can accumulate in high concentrations because lichen grows slowly. This reindeer lichen is probably past that point though!? We harvested some to use it for a plant dye experiment. Iv'e heard it gives a yellow/grey color. Continuing our little hike we met an old man that was digging a forest path to his small boathouse. He thought we were a moose and was happy to see we were only human. He showed us his wooden boats. This is not the old man. We gathered some big flat stones to take home. I want to use them in the garden. My son want's to carve on them. Heading back home I had to stop to take this picture. I. am. so. happy. spring. is. finally. here. Kind of looks like the shire? 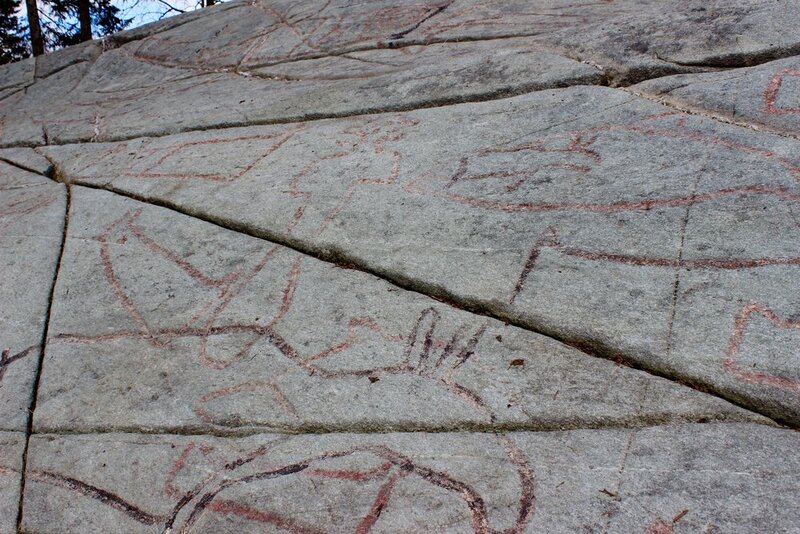 A few days ago we visited a petroglyphs site a few km from our farm. Moose, small whales, fish, reindeer and boats. (This is why my son is now hooked on them). They tell an interesting story about hunting and fishing. Carved in the hill at 23 m above sea level somewhere between 2000 - 1500 BCE.